Alpízar, Francisco, Anna Nordén, Alexander Pfaff and Juan Robalino. 2017. 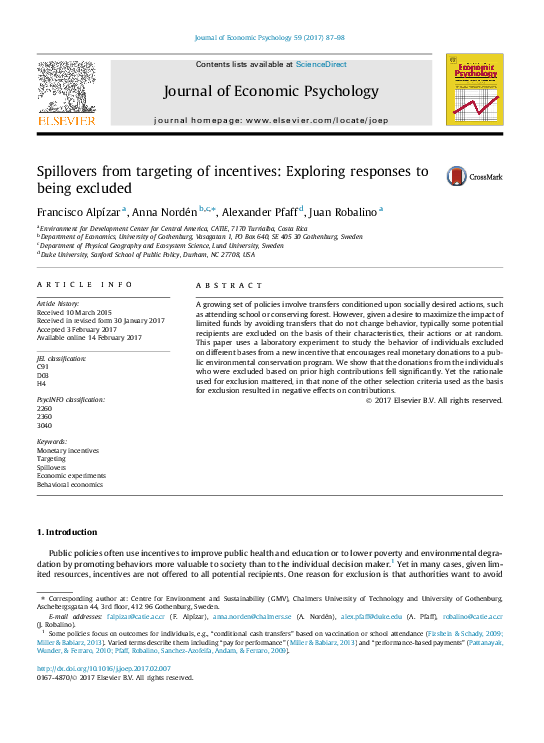 “Spillovers from targeting of incentives: Exploring responses to being excluded.” Journal of Economic Psychology 59: 87-98.